It seems certain that Blu-ray is here to stay and will eventually replace DVD as the medium for movies. And though it's somewhat unlikely, it could also replace CD, SACD, and DVD-Audio for music. A number of recently released Blu-rays prove that the sound formats and mixes Blu-ray allows cover all the bases, and a few companies have released audio-only Blu-rays. Morten Lindberg and his 2L label have been at the forefront of issuing music-only discs on Blu-ray, and the latest marries cutting-edge technology with the best that 1921 had to offer. 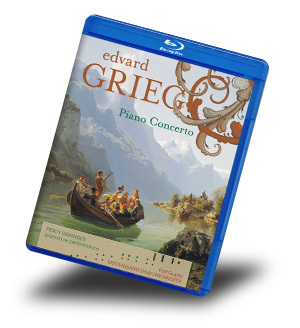 The composition is Edvard Grieg's much-loved piano concerto, performed by Kristiansand Symfoniorkester and conducted by Rolf Gupta (2L 60 Blu-ray/SACD, ****). The soloist, via Duo-Art music rolls from 1921, is Percy Grainger, who passed away in 1961. Music rolls that played mechanically on specially equipped pianos were much more sophisticated than 21st-century listeners might imagine. Their history is explained in greater detail in the program notes that accompany this disc, but, in short, pianists could record not only notes but also tempos, dynamics, and subtle gradations. The Grainger roll was digitized as orchestral parts transcribed to make a solo piano version feasible were meticulously removed. The digital result was then set down on a new roll for both recording purposes and live performances. 2L has, as usual, provided stunning engineering for this historic event. The sessions were recorded in DXD at 24-bit/352.8kHz and transferred to the Blu-ray in three different ways: 5.1 DTS-HD Master Audio 24-bit/192kHz, 7.1 DTS-HD Master Audio 24-bit/96kHz, and 2.0 LCPM 24-bit/192kHz. As far as I know, this is the first time 24-bit/192kHz has been used for a multichannel recording. A number of DVD-Audio discs presented a 2.0 24-bit/192kHz option, but space limited the number of channels, so this disc is also an example of how Blu-rays copious space can be advantageous. The sound is smooth and rich, and the piano impressed me with its realistic and natural timbre. The orchestra was spread around to take advantage of the multichannel format, resulting in a recording that is unusually transparent. Filling out the disc are some piano roll recordings Grieg made in 1906 and Griegs third violin sonata with Øyvind Bjorå as soloist. 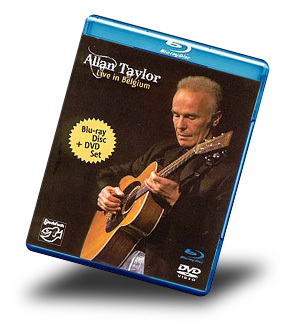 In case you dont have Bu-ray yet (and this recording surely makes a good case for getting it, even if you never watch video), theres also a hybrid multichannel SACD included that will play on all regular CD players and provide stereo or multichannel sound on SACD players. Moving to audio and video combinations, BBCs Opus Arte label has released a large number of opera and ballet recordings on Blu-ray that are quite splendid. The cost of a ticket to a live performance has escalated, and you can now buy three or four Blu-rays for the cost of a single ticket to a live performance. Home theater will never quite eclipse live performances, but it can now be a grand alternative, allowing you to see close-ups and angles that the live audience cant experience and hear sound thats as good as most studio recordings. 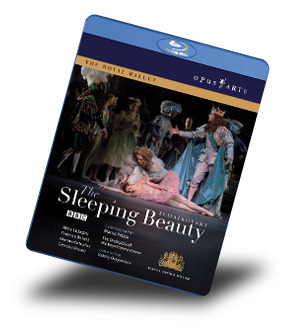 A good example is Tchaikovskys The Sleeping Beauty (Opus Arte Blu-ray BD7037 D, ****), danced and played by the forces of the Royal Opera House. The music and story are known to most thanks to the Walt Disney animated feature, though at 135 minutes this stage production uses all of Tchaikovskys magnificent score instead of just snippets. The staging is the familiar one, with the choreography of Marius Petipa and breathtaking dancing by Alina Cojocaru and Federico Bonelli as the Princess Aurora and Prince Florimund. The picture is sharp, with good contrast and excellent shadow detail. The colors are rich and varied, a long cry from Pioneers first ballet Laserdiscs, which were marvels for their day but now seem as faded as tintypes. The sound is a remarkable improvement as well. Those old lasers sounded like pretty good FM radio, but this Blu-ray, presented in PCM 5.1 and 2.0, is as good as a modern recording can be. Opus Arte has played around with different audio formats, often using Dolby TrueHD, but it still employs multichannel and stereo PCM more often than not. The result is a recording that offers great pleasure even without the picture, and adding the video provides an altogether rewarding, if different, experience. The soundstage is wide without a lot of depth, making the orchestra sound just like a pit orchestra. In the 5.1 version, you get some bounce from the hall as well as applause all around, and theres also a little dramatic thunder thats panned around the hall. And never dreamed at all. I can dream for you. Theyre simple thoughts, sung directly with simplicity. Taylors voice sounds singularly natural, and its well balanced with the guitar, which provides good support without being overpowering. The guitar sound is clear throughout its range, and both voice and guitar have excellent presence. There are three track options: 5.0 DTS-HD Master Audio, 5.0 PCM, and 2.0 PCM. Ive been curious about how effective Master Audio might be for music, so I did a lot of A/B comparisons of the DTS and PCM 5.0 tracks, and I could tell no difference. The PCM might have seemed a bit warmer at first, until I realized that I knew that it was playing. If someone else had given me a blind test, Im sure Id have been unable to tell the DTS from the PCM. Both make for good audio-only listens, although Taylors tendency to talk to the audience might leave some listeners longing for an image. But here again, this disc proves the flexibility of Blu-ray as a disc that can be used, with equal success, for audio or video. Barbra Streisand has been described as a force of nature, and though shes released many albums, her powerful voice has been only adequately recorded. A new Blu-ray disc, Streisand: Live in Concert 2006 (Live Nation Blu-ray,****) is the best showcase of her show-stopping talent to date. Whether shes belting or crooning, the handheld wireless microphone catches every nuance in her delivery, and the PCM multichannel and stereo (forget the Dolby Digital multichannel) is up to the challenge. At an age when many are thinking of retirement homes, Streisand is totally in command of her voice, and anything she does with it is no accident, as she perfectly balances intelligence and passion in her singing. For this tour, she picked a mix of old and new. Youll hear a lot of favorites, such as "People," "Evergreen," "Down With Love," and even "Stoney End," along with new songs like "Unusual Way." One of my favorites was a medley consisting of "Youve Got to Be Carefully Taught" and "Children Will Listen," a plea that we must be tolerant in order to pass on that highly desirable attribute to children. The video is of very high quality. Its exceptionally detailed and smooth, both in close and long shots. Often in DVD concerts theres so much difference in focus between long and short views that you almost feel dizzy, especially back when quick, rude editing was the norm. But here the editing is entirely appropriate, and when a camera draws back for a long shot, you dont lose the feeling of HD. The audio, as mentioned, does great justice to Streisands voice, but its also good to the orchestra and guest artists Il Divo. The balances are just about perfect. Listen to the opening music when the orchestra plays in near unison, and you can hear a well focused bass and a xylophone many octaves higher with equal clarity. Again, this is a video disc I could easily listen to without video thanks to the great Blu-ray PCM tracks. Thinking back to Laserdisc, audio for video has come a long way in a very short time. Blu-ray can now offer audio that holds up without a picture, and some producers have even chosen to go the audio-only route. Blu-ray is about much more than just movies, but its a system that offers tremendous signal storage space, and people with imagination will find new and wonderful ways to use it for both sight and sound. Stay tuned.